I was wondering if flaps could be installed. How easy is it? Has anyone done it? Do they make good aerobatic planes. How are they in windy weather? Mine had an NGH 38GF four stroke, quite a lump of a motor. Flaps - don't bother, it would be a lot of work for little gain. The AWXL floated in even better than my old kit-built AW. Aerobatic? It's an excellent sport aerobat, not 3D in my hands and not really meant for that sort of thing. As for warts, it's a typical Ripmax ARTF. Replace the clevises then glass around the engine bulkhead and the U/C mount. The covering can be variable, I had a couple of spots where the brown stuff delaminated but that was just aesthetic, nothing came loose. Most people seem to move the elevator servo to the tail with a short direct pushrod. 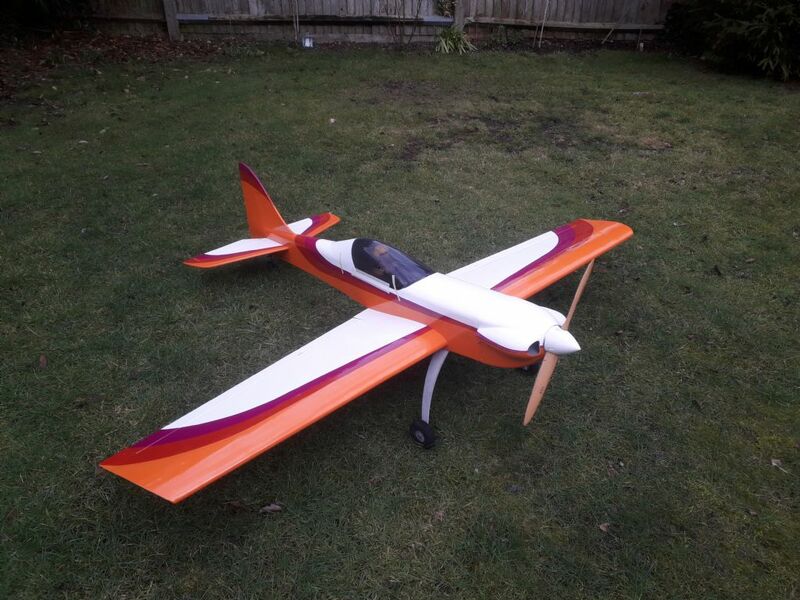 I liked flying the WWXL a tad more but the AWXL is quicker to assemble at the field. If I got either model again I think it would be the AWXL. To be honest I wish that I still had either of them. C'est la vie. Hi Chaps, does anyone know what colour and make of film matches the orange and red colour on the Acrowot XL ARTF? Hobbyking Jayacinth Orange is a pretty good match. Mine is about 2 years old now, still going strong, I love it. I have a Moki 210 glow on the front, and rear mounted elevator servo. With that heavy piece of Iron on the front still got loads of lead on the tail. That’s interesting Richard. Thanks for the colour match too. Did you use a single tail servo or two separate ones? I bought an Acrowot XL a while ago and plan to put it together over winter. I was wondering whether to use the pushrod or not. Thanks for the colour match info Richard most useful. I have a laser 155 in mine. Can anybody with a recent AcroWot XL say if Ripmax have made any changes since it was released? e.g. Have they incorporated holes for tail mounted elevator servo(s) into the design? Hi Tim .Great effort to make a neat linkage personally from experience they are a little susceptable to not be 100% reliable and the inner snake flexing when up elevator applied. If I may suggest a little modification are you able to replace the inner snake as it leaves the outer to the clevis with a threaded rod to give some rigidity ?? Thank you for suggesting that RC Plane Flyer but I’m afraid it’s all stuck together with epoxy so I cannot easily modify it now. As the curve is near the end of the run it might bind if I put a rod there. I agree it would have been better to have run the last 6 inches totally straight. Then I could have done that . Unfortunately the fuselage side is quite tapered at the rear so that would have meant the snake exists further towards the front of the fuselage . Cheers. 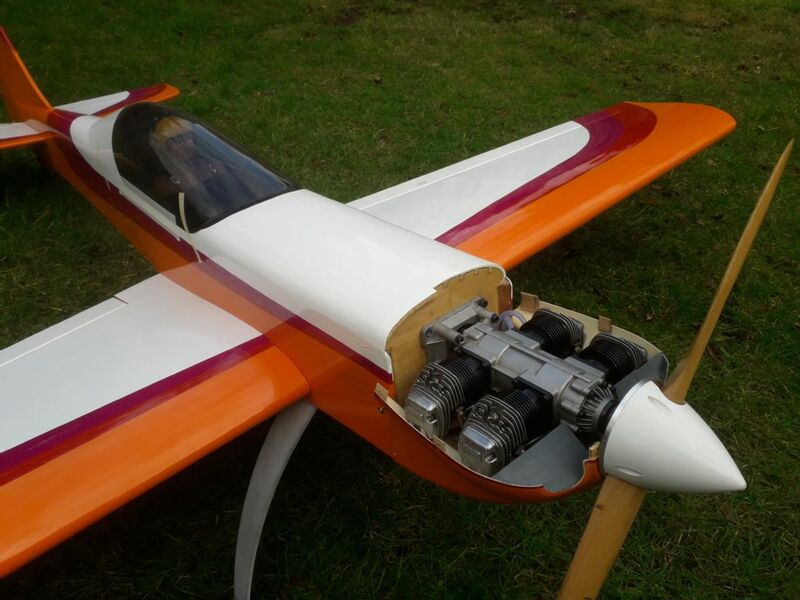 RC Plane flyer ...It doesn’t flex there as brackets are stiff.. plus steel threaded rod is epoxied and buried about 2cm into the snake inner .. Only thing I’m worried a bit about is strength of plastic snake and whether it might suddenly snap in a year or so? In the past I have used metal /wood and carbon push rods but haven’t used snakes yet on a sports plane. I’m not planning to do super aggressive flying but would like to be happy strength wise. 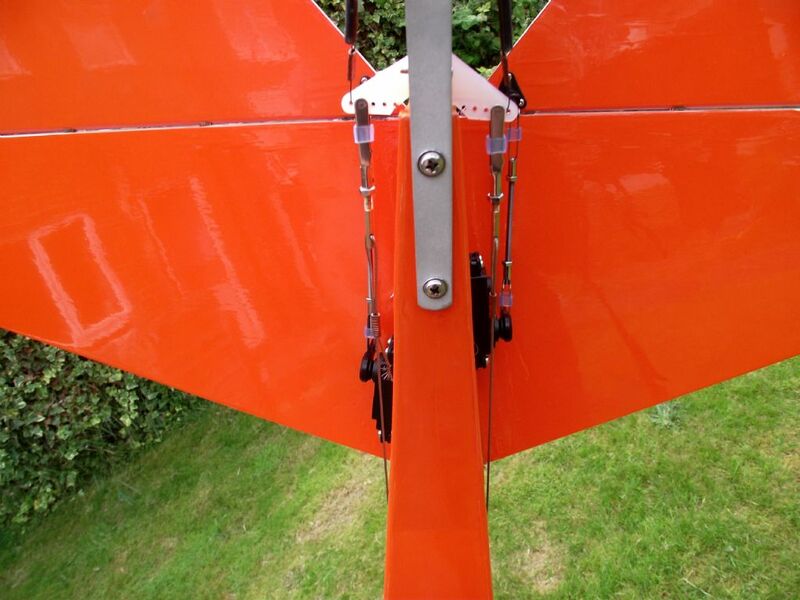 I will be replacing the wing bolts with nylon ones too as I believe the heavy steel ones are overkill. I use nylon wing bolts on most of my planes including the Wots Wot xl. Tim, if they are Sullivan snakes, then the manufacturer rates the blue ones as suitable for elevators on models up to 10lb. That's one snake per whole elevator, however, not to each half. I would imagine that's a conservative rating and personally I can't imagine you'll have trouble with them. They also make a heavy duty (black) one for larger models, if you decide to change them out. Thank you Nigel i’m Pleased to hear that. I hadn’t realised they also made a heavier one too. This plane shouldn’t be more than around 13lb I at a guess . I just cant do with snakes on a largish model, also having a extra servo adds redundancy. I've done it to the Wot4XL, Acro Wot XL and the Wots Wot XL. Leaves no slop whatsoever, and neither model required nose weight - all using large engines - in fact the battery is on the cofg. Also, as said, I've replaced the horns with tri-horn type from Dubro. Stops stress points round the limited 2 hole fixings and adjustable. That’s good Paul . I have Similar set up on my WWXL . I used a Laser 155 on that which is light and I had to offset that. I used a big 4500mah Life battery mounted on the firewall to do that . My Acrowot is powered with s Laser 180. If you are not adding nose weight your petrol engines must be heavier than my glow ones I’m yet to balance my Acrowot XL but I’m also expecting it to be spot on with no shifting kit .Almost finished now! The laser 180 fills the cowl perfectly .